I'm writing this on the eve of a big adventure, one which you'll be sharing with me if you read SoundRoots in the coming weeks (and if I find the Internet to be accessible in the parts of North India to which I'm headed!). The desks at SoundRoots Central are piled high with CDs and a few DVD that we'll be reviewing soon...but in thinking about the appropriate song by which to sail off to excitements unknown than my Canada-based friends Autorickshaw. 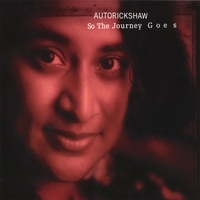 Led by the rich vocals of Suba Sankaran (yes, daughter of the master drummer Trichy Sankaan), Autorickshaw have carved out a unique spot in the realm of Indian/fusion/jazz music. Their CD Four Higher includes tasty, exotic covers of "Caravan" and "A Night in Tunesia," along with great originals. This is the title track from their 2007 album So The Journey G o e s -- it's an autobiographical song, Suba says, " loosely based in the bluesy south Indian Chalanata raga, complete with train rap from a south Indian railway line." I'll certainly end up in one of these in coming days... photos and harrowing stories will be posted here! And after this Indian interlude, SoundRoots will return to "normal" programming in March. here is another great female world music artist from Africa. 2009 NAACP Award Nominee Omega Bugembe Okello’s new single “Amazed” recently released, from her upcoming new CD, Amazed, coming soon! For more information about Omega Bugembe Okello, visit her online at www.omegaworldmusic.com or www.myspace.com/omegaworldmusic. Thanks for this post! I'm finding it, oh, a month or so late, but thanks! No more 30 second clips...whole albums can be listened to/embedded! We're working on a new album..stay tuned. cheers, and hope the trip is/was great!